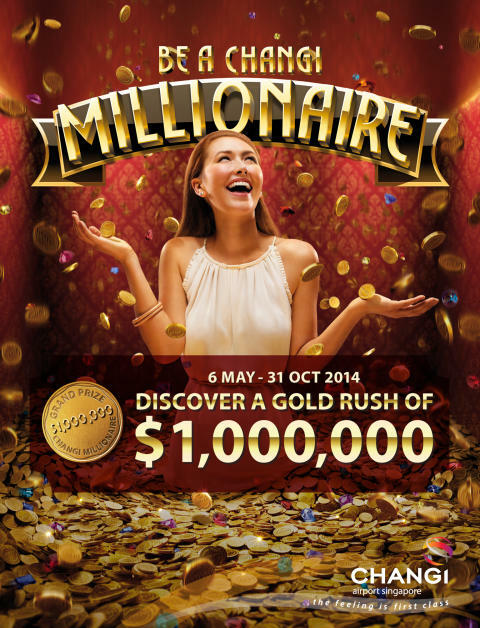 ‘Be a Changi Millionaire’ features a prize purse of S$1 million, making it the largest cash prize of any retail draw in Singapore. The 2013 promotion saw an overwhelming participation rate of 2.2 million lucky draw entries, more than 2.5 times its inaugural run in 2010. During the upcoming six-month shopping promotion, a lucky finalist will be drawn each month for participation in the grand draw. Come early 2015, all six finalists will gather at Changi Airport for an exciting grand finale to vie for the grand prize of a million dollars. The finalists each win a cash prize of S$5,000 each, plus a three-night hotel stay. On top of the life-changing million-dollar grand prize, shoppers can look forward to attractive instant prizes that include the Apple iPad Air, Mont Blanc pen, GoPro Hero3+ camera, shopping vouchers and travel accessories. “Growing our retail business is a key part of our continual efforts to strengthen Changi Airport’s status as a leading air hub, as healthy non-aeronautical revenues enable us to keep airport charges competitive for airlines and passengers. Organising effective promotions that shoppers find attractive and exciting is a part of this strategy. Every year, we inject new and refreshing elements to ‘Be a Changi Millionaire’ while retaining its signature feature – the million-dollar grand prize –obviously the draw of the promotion,” said Ms Lim Peck Hoon, Executive Vice President, Commercial, Changi Airport Group. Changi Airport’s retail business is of strategic importance to CAG – both as a key revenue stream as well as a critical part of the overall airport experience. Retail sales alone in 2013 saw CAG a 9% increase from 2012, reaching a record of more than S$2 billion. ‘Be a Changi Millioniare’ has since made four lucky shoppers at Changi Airport overnight millionaires, changing lives and fulfilling dreams – with the latest being Indonesian shopper, Mr Irvung Tio, who was crowned the fourth Changi Millionaire in January 2014. Standing proud in the Changi Millionaire hall of fame are Singaporeans Ivan Rantung (2010), Peh Hock Peng (2012) and Australian Jessica Down (2011). 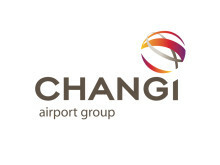 Shoppers only need to make a minimum purchase of S$30 at Changi Airport or iShopChangi.com to qualify for both the monthly finalist draw and games to win instant prizes. The number of winning chances increases with the amount spent. Additional chances will be allocated for Changi Rewards card members and iShopChangi.com purchases. For more information, please refer to changiairport.com/millionaire.